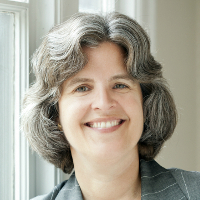 Michele Simon has 22 years of experience in food and beverage law and policy. Through her book, articles, and reports, she has written extensively about food and alcohol politics, litigation, and a has led a wide range of food and beverage advocacy efforts at the federal, state, and local levels. After years of researching and writing about what’s wrong with the food system, Michele decided to offer her services to food and beverage companies trying to do the right thing. In 2016, she founded the Plant Based Foods Association, a trade group representing more than 100 of the nation's leading plant-based foods companies. In addition to her law degree from University of California, Hastings College of the Law, Michele has a master’s degree in public health from Yale University.